In September of this year i proposed for myself a list of ten things i wanted to accomplish prior to the conclusion of 2011, inspired by my friend Mary Day Saou’s fantastic photography blog. While i have ticked off a number of items on the list, there are few that i have yet to share with all of you – so here it goes! Since playing the part of Abigail Williams in a (mini) class production of The Crucible my junior year of high school, i’ve had something of a bizarre fascination with the Salem Witch Trials of 1692. This play, in conjunction with a study of Puritan lifestyle in my AP US History class, led me to a phase of total obsession with the mass hysteria both of the Red Scare in the 1950s and the aforementioned trials. 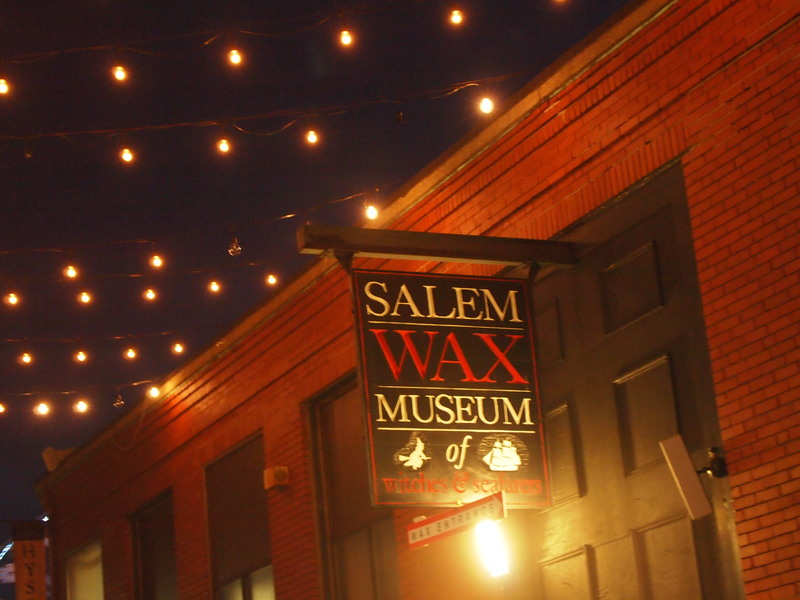 While my nights curled up with the works of Miller (minus my least favorite play of all time, Death of a Salesman) have long since passed, my desire to go to Salem has not. Thus, when my friend Nora and her mom invited me to join them for a day trip to the famous Boston-area town, i did not dream for a moment of turning down the opportunity! On Friday, October 21st, we left Western Mass behind us and arrived in a brilliantly-blue-skied, cobble-stoned street Salem with picnic lunches in tow. The town itself is positively littered with low-production but layered-with-cheese attractions, and each, it seemed, nurtured a penchant for wax figures with listless, but unnervingly realistic, facial expressions. The streets were by no means choked with tourists, but everywhere you looked there were children in costumes, promoters of said attractions, and adults in (to be frank) disgusting masks with copious amounts of fake blood. Salem, it would seem, shines brightest with the oncoming holiday of Halloween! 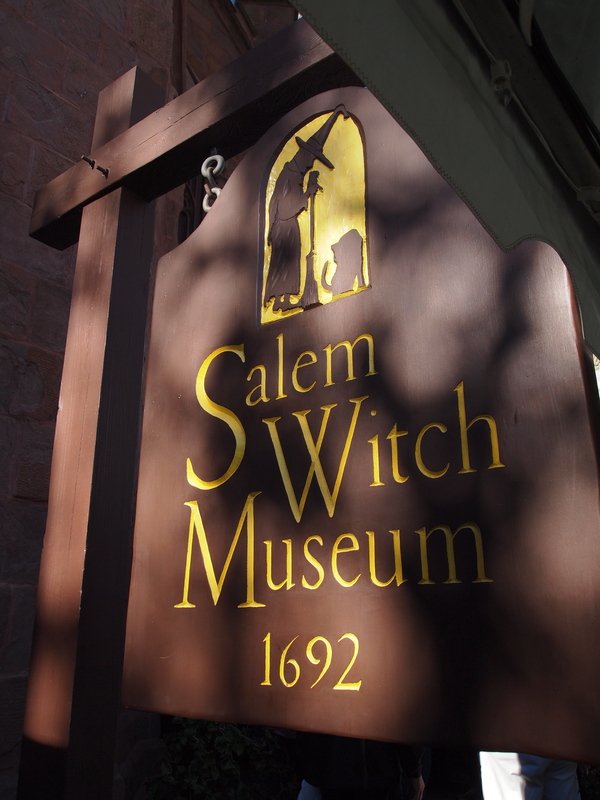 After (finally) finding a parking place, some slight snafus with the map, and a shocking encounter with a kind of demon-vampire-costume-clad lad, we commenced our adventures with a tour around the Salem Witch Museum. Though certainly not as exhilarating as traveling through all of time and space with The Doctor, my museum experience was equally as much fun in the states as it had been in London. Nora and i complained there were no “witch” depictions from the Potter world in the “modern witches” section of the museum (despite the Wizard of Oz and Bewtiched having displays! ), reveled in an abundance of wax figures, and rolled our eyes at some of the more outrageous claims made by the voiceovers. Thoroughly educated on the modern Wicca religion and its distinctions from the witch hysteria of the late 17th century, we headed back to the car to snack on some delicious sandwiches and marvel at the gorgeous weather. 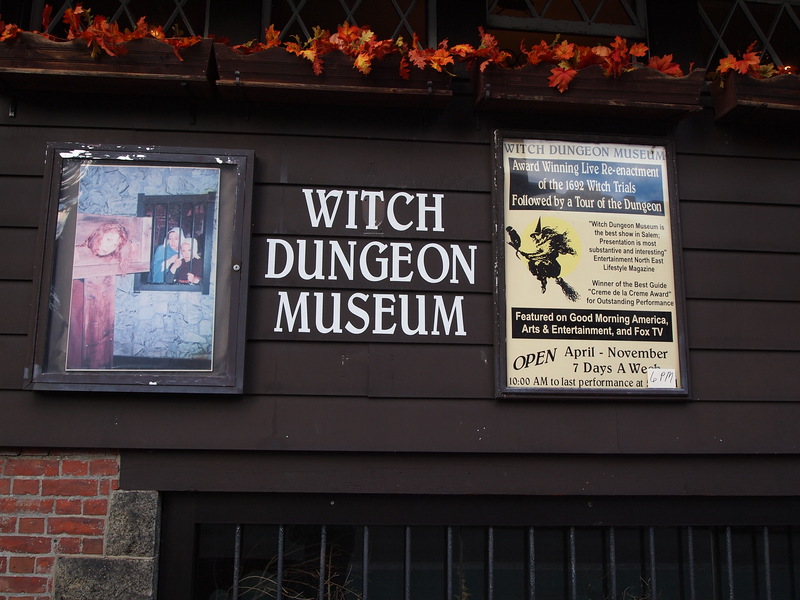 Refreshed and ready to go, we meandered our way down a few blocks to the Witches Dungeon Museum. In store for us were some truly Academy-Award-worthy performances of the original court records, and a brief – but frightening! – tour of the “dungeons” recreated to look like the original Salem holding cells. Perhaps i should clarify; the dungeons are filled with wax figures (are you surprised?) made to look like the accused of 1692. Not in and of themselves scary, but when you’re winding down subterranean, narrow halls with very poor lighting – and when you’re two easily-petrified-screechy-types – it’s all-too-easy to be scared by low-grade production haunted house tactics. Or, in this case, someone slamming their arm into a window. Okay, maybe we’re a little scaredy-cat-y, but still! 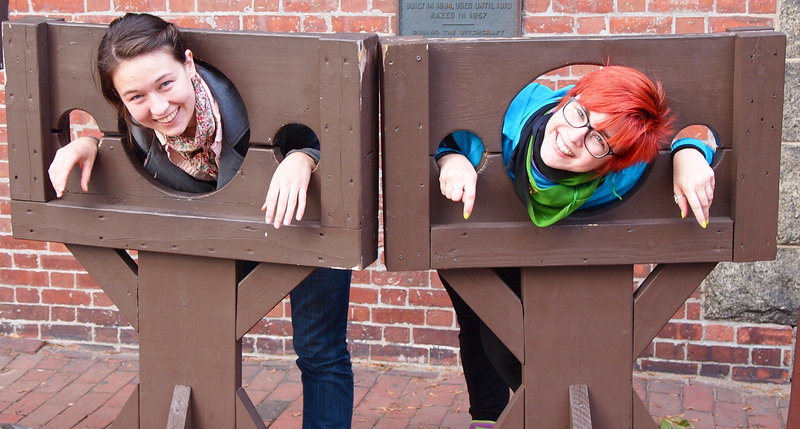 Properly shaken, Nora and i decided to assuage our fears by faking our own deaths in the stocks conveniently provided outside the exhibit. The three of us then trekked over to the graveyard where a number of famous Salem-ites were buried, in pursuit of the witches memorial. And now, dearest reader, i have a bit of a confession to make: i rather enjoy spending time in graveyards. They’re always quiet, contemplative, and rich in history. I love looking at what people have written on their tombstones and, as someone generally obsessed with notions of the body, life, and death, i find our cultural way of marking the end of a person to be baffling, intriguing, and utterly fascinating. This graveyard proved no exception. 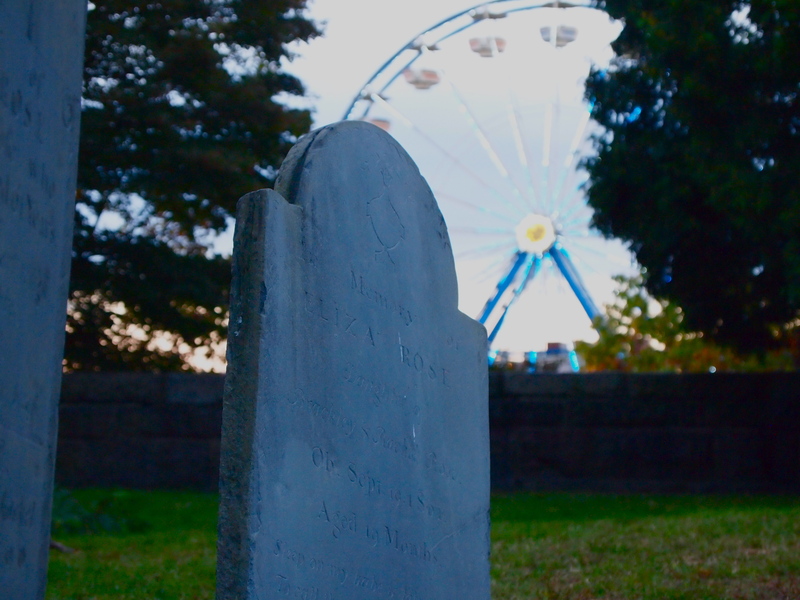 There were heart-breaking stones for small children lain next to their young mothers and fathers; stones so weathered the print had faded to be unreadable; and, most perplexing, around the perimeters of the graveyard was something of a mini – carnival, complete with a ferris wheel, fried dough stand, and water-gun games with stuffed animal prizes. In a weird way, this described the epitome of the Salem tourist area to me. The graveyard, meant to be a quiet place to honor the long dead, surrounded by glowing signs advertising sticky sweet candies, horror midnight tours, and a fair straight out of a Cohen Brothers-type film. The Salem Witch Trials of 1692 were horrific – 19 were hanged or crushed alive because they had been accused of making a pact with the devil. The whole of the hysteria was, ultimately, an outcry of young and teenage girls oppressed in a regimented system allowing no time for play. Psychologically and physically, the newcomers to the North American continent were incredibly isolated and led profoundly difficult lives. Yet the fascination with the trials (an interest i undeniably partake in) has led to numerous wax museums and capital-generating attractions exploiting the town’s history to turn a profit. I’m not saying these are bad things, just an interesting juxtaposition. I suppose it’s one prevalent in all of Halloween festivities. 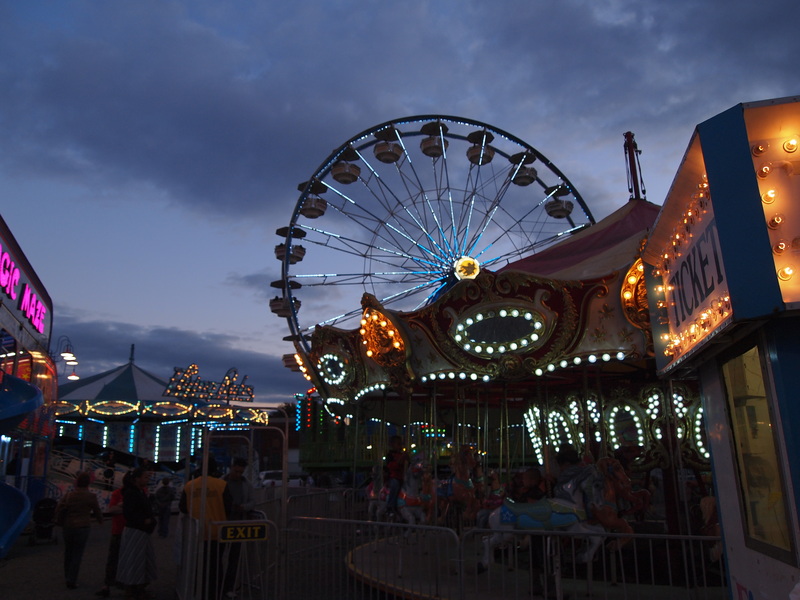 On the surface a night for merriment for children, but within it a chance for the older folk to frighten and terrify ourselves as much as possible – for seemingly inexplicable reasons. Whatever the reason we choose to engage in such fear-factor-driven-fun, i enjoyed my day nonetheless. 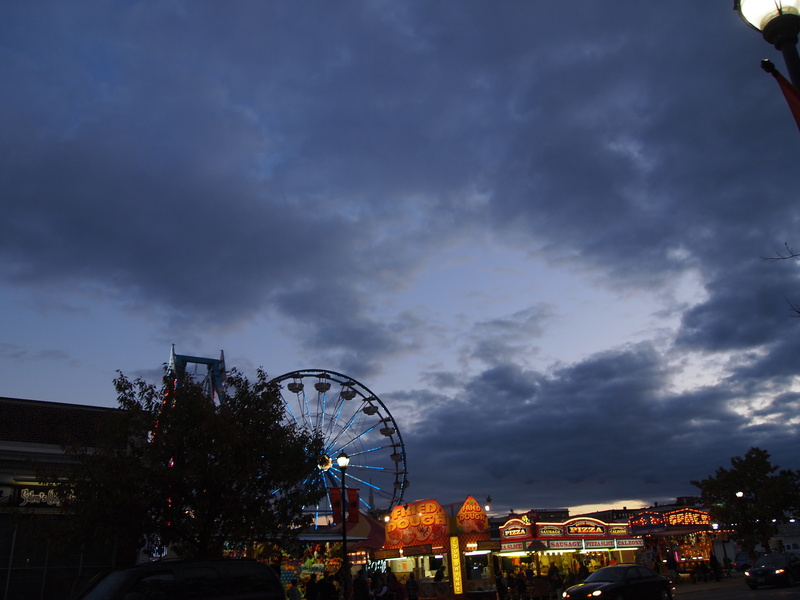 We capped off the night with a spin on the ferris wheel and a hearty dinner of powder-sugar-coated funnel cake. It was such a blast to hang out with one of my best friends and her mom, most especially while exploring the nooks and tourist-tastic corners of the historic city. best thing in my life right now: glittery postcards to add to the collection! thoughts in my head: on my i’s. I’ve always wanted to go to Salem, especially after reading The Crucible in high school and watching television specials on the Salem witch trials.It also seem like New England is absolutely gorgeous this time of year! Remember when I had mentioned covering a world issue? Occupy. 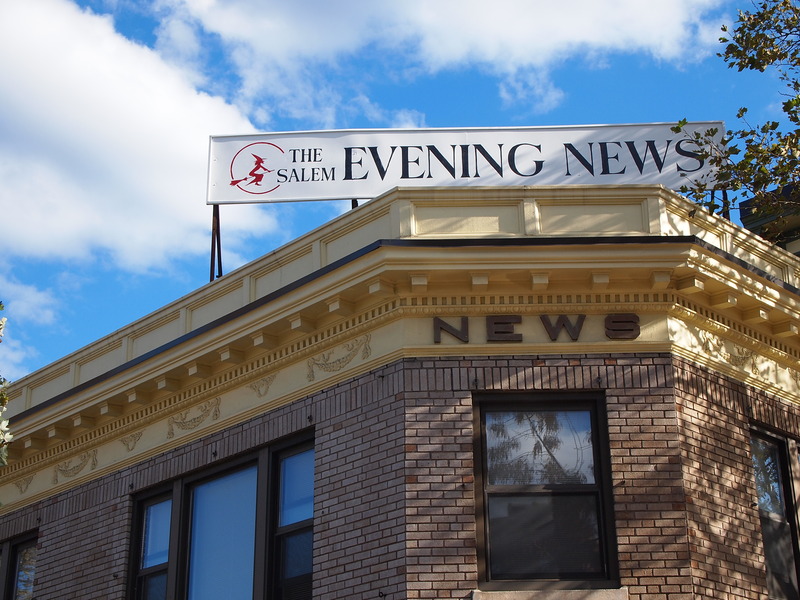 Next time to Salem try the newest Salem Walking Tour, the Salem Tunnel Tour! Learn about the smuggling tunnels built for a Superior Court Justice, a Secretary of the Navy, and several Senators so they would not have to pay taxes. Tunnels used by murderers, pimps, pirates, and politicians a like! 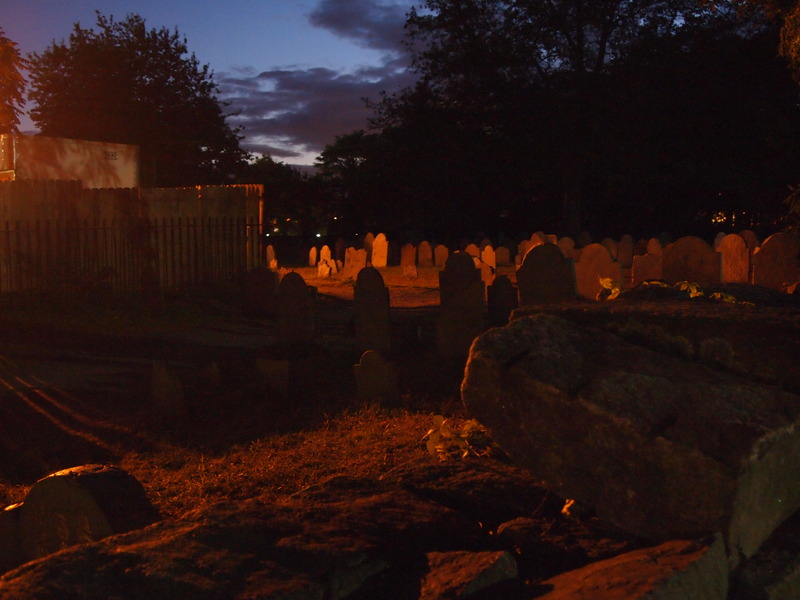 Visit http://www.salemtunneltour.com to find out more about this fascinating Salem Walking Tour!